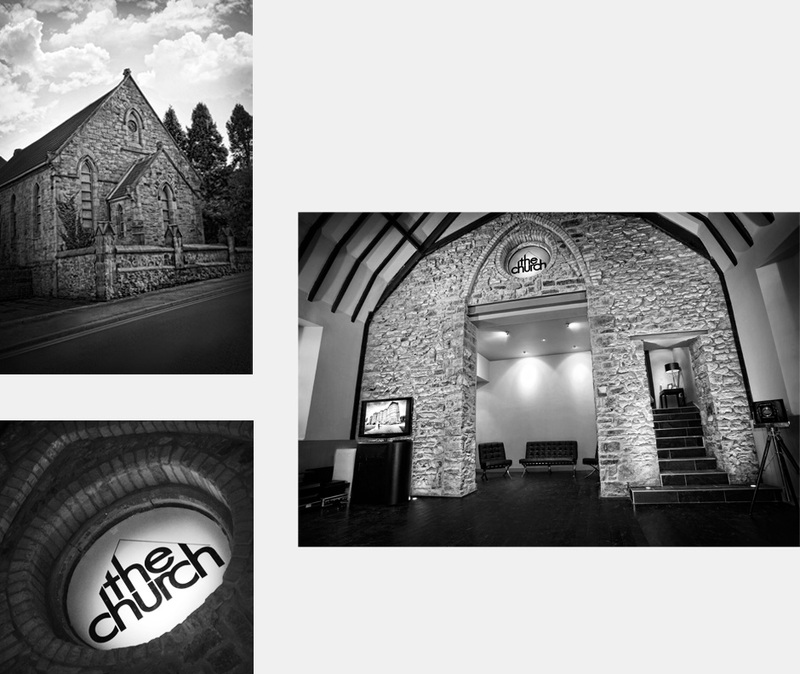 The Church is the name of the studio and gallery from which Pacific Studios work and operate from. Branding The Church allows for different events and exhibitions to be held at its large space which means it had to be a flexible design solution. The brief was to give The Church an identity in the form of a logo and stationary as a starting point then roll out the identity with the gallery and studio space. The design for the logo was insired by the church's architecture inparticularly the impressive angular roof. As this is a main feature both in and outside the building I decided to immitate its shape through stacking the letterforms and giving them a roof. The right angled lines also appear in the stationary and will feature on any branding for the building. The grey was chosen to be as flexible as possible, it allows whatever event or exhibiton being held add the colour the idea being that The Church can adapt to any situation and still retain its own identity. As shown in the images below the logo sits on a round window at the center of the gallery room to show its relation to the architecture to anyone that enters. Completed whilst working for Pacific Studios.